The Isorättyä's sculptures reflect the problematic and close relationship between man and machine and between nature and machine. How do we convey our human values and conceptions by creating machines for different purposes? 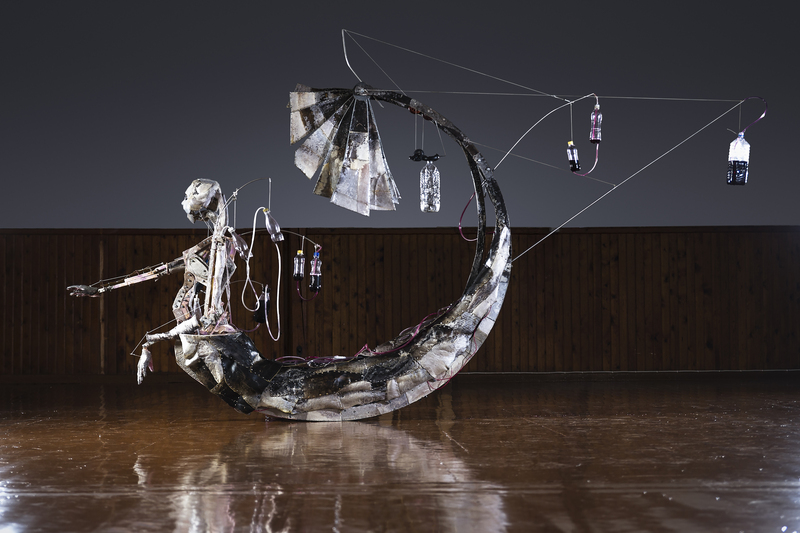 Pekka and Teija Isorättyä are known for their kinetic sculptures built of organic and discarded materials and set in motion by electrical engineering. Pekka and Teija Isorättyä are interested in exploring movement and possibilities of expression in sculpture. Inspired by the logics of surrealism and DIY spirit, the couple is fascinated by how the stories of found objects intertwine and create their own, unique meanings.